ProMediate (UK) Limited has a proud of successfully resolving disputes between traders and consumers, for a low fee. Nonetheless we recognise that sometimes things do not go as smoothly as we would have liked, particularly when dealing with uncooperative traders. In case of any complaints, we seek to resolve these ourselves in the first instance. The procedure is for the complainant to put their complaint in writing and ProMediate will respond within 28 days. 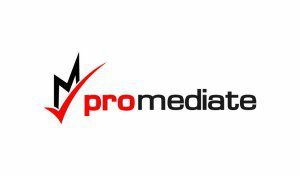 ProMediate is registered with the Information Commissioner’s Office for data protection purposes. we will comply with the information requirements of the ADR Regulations and provide you with information concerning a certified ADR Provider and inform you whether we will use them. PM welcomes feedback and we take this both formally and informally, as well as having our courses reviewed externally by the CMC. If your complaint cannot be resolved through us, you can complain to the Civil Mediation Council. 1.2 The appeals process is available to delegates on courses run by ProMediate..
2.1 Delegates have the right to appeal to the ProMediate Assessment and Examination Appeals Committee for a review of a final decision of the PM of Mediation Assessor decisions on assessment, and examination and course Certification. 2.3 This includes appeals against a requirement to take reassessments. 2.4 An appeal may only be submitted in relation to the final decision of the Assessors and/or the Examiner. 2.5 Appeals will only be considered if submitted within one calendar month of the delegate receiving notification of the decision they wish to appeal against. 2.6 Only written requests for Appeal presented clearly and comprehensibly will be accepted. 2.7 There may be times when a delegate submits an appeal, the subject of which is actually a complaint, or vice versa. In these cases, PM may decide to reclassify the appeal or complaint, at whatever stage of the procedure that has been reached, and PM will inform the delegate of this. (a) the student has provided no substantial, relevant evidence of a procedural irregularity or of prejudice. (b) the procedural irregularity claimed by the delegate clearly could not have affected the decision against which the Appeal is being made to an extent that would have led to a different decision. 2.9 Where it is believed that there may be grounds to Appeal, an investigation will be conducted. 2.10 Once a member of the Panel of PM has been personally involved in the delegate’s case whether at any stage of the Appeal process or in circumstances relating to the subject of the Appeal, they will take no further part in the Appeal process. 2.12 Where a case is rejected, the reasons for the decision will be conveyed by letter to the delegate. This will not prevent the delegate from submitting a revised case within one calendar month of receiving notification of the outcome of their Appeal if the delegate has new evidence to make known. (a) That parts of the documented assessment procedure were not applied and that this procedural irregularity which has disadvantaged the delegate was significant enough to have materially affected the decision/recommendation made, rendering it unsound. (b) That the decision-making body took a decision which no reasonable person would find comprehensible. Disagreement with the decision does not make it manifestly unreasonable. To apply this ground you must provide substantive argumentation as to why no reasonable person could have arrived at the decision that was made. (c) That prejudice or bias on the part of one or more of the Assessors or Examiner took place and can be proven (evidence must accompany the submission). (a) Perceived past shortcomings in tuition, supervision or support not previously raised with PM cannot be considered as grounds for appeal. Concerns relating to the quality of teaching or supervision, or other circumstances that relate to the delivery of a course before the commencement of assessment or the submission of the written Examination should be raised under the Complaints Policy as they arise. (b) An Appeal may not be made to question the academic judgement of the PM Examination Moderators, and the delegate will not be permitted to argue the academic merits of his/her work. The student’s feeling that the result unfairly reflects the merit of their work or their ability is not a ground of appeal. (c) An Appeal may not be made against the actual mark awarded for the assessment, which is a matter of academic judgement, except where the case rests on a claim of procedural irregularity. If a delegate wishes to have clarification about a mark received for an individual assessment they are advised to raise this at the time with the Assessor or Examiner at the time that debrief is provided. (d) A delegate who has submitted an extenuating circumstances claim to PM and is dissatisfied with the outcome should use the Complaints Procedure. 4.1 The procedure is managed by the Directors of ProMediate. 5.1 There is no right to Appeal the decision of the Appeal Process.